Сюрприз каждый раз, потому что не известно какая именно фигурка попадется! Ready to have a hair-raising time? 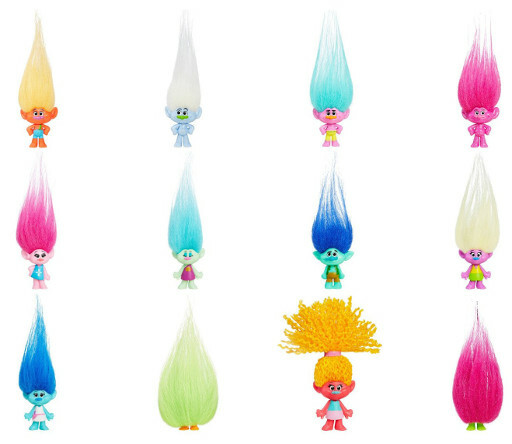 These colorful 2.5-inch figures are inspired by the DreamWorks Trolls animated movie. 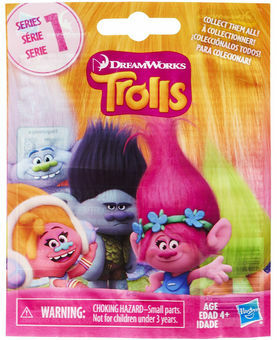 Each wild-haired figure comes hidden in a bag for an element of surprise. Randomly receive 1 of 12 and try to collect them all! Style and play with the colorful and wild hair of characters such as Poppy, Branch, Guy Diamond, Harper and more. Each sold separately.